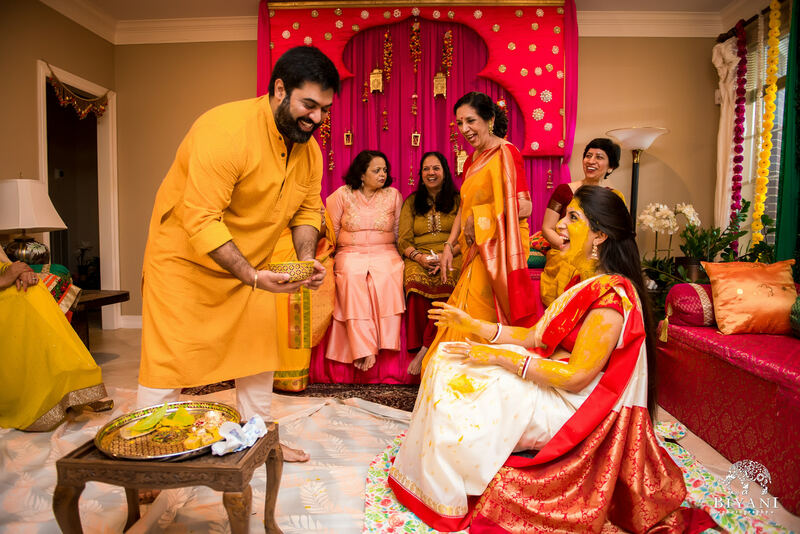 Trishna & Jai, a power couple at its finest! They shared such a genuine love with us that we will never forget. 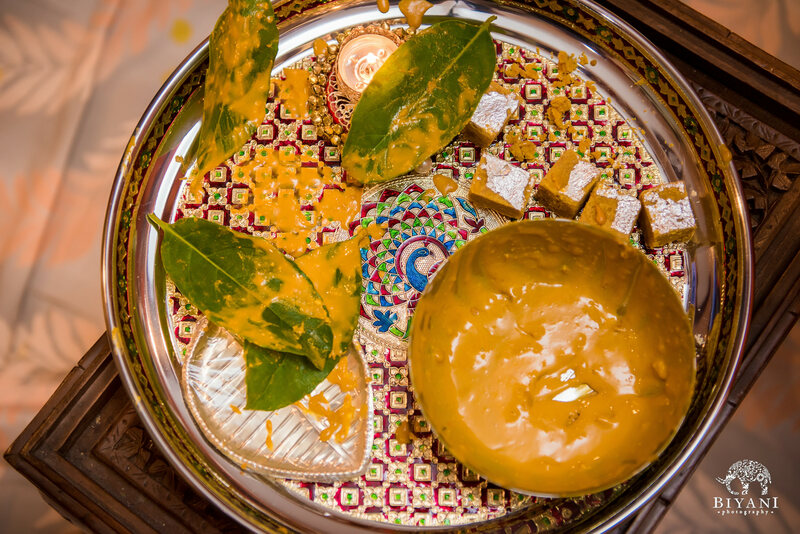 We were so fortunate to spend their Haldi day with them! 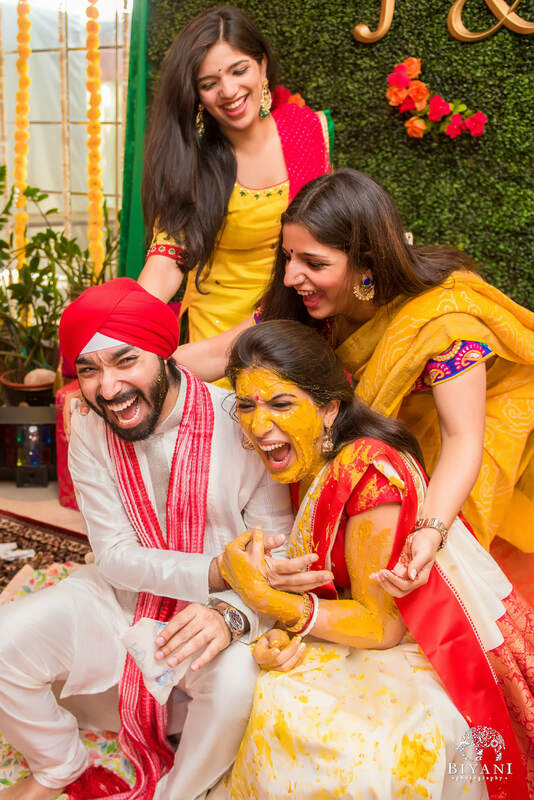 From laughter and jokes to a love that crossed all boundaries, Trishna and Jai were definitely a joy to shoot. 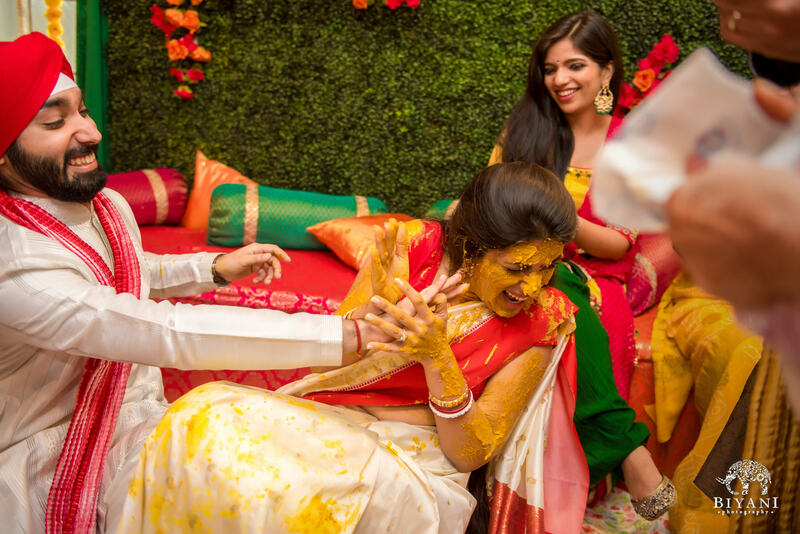 Here is a view into the beautiful Haldi with this energetic couple! 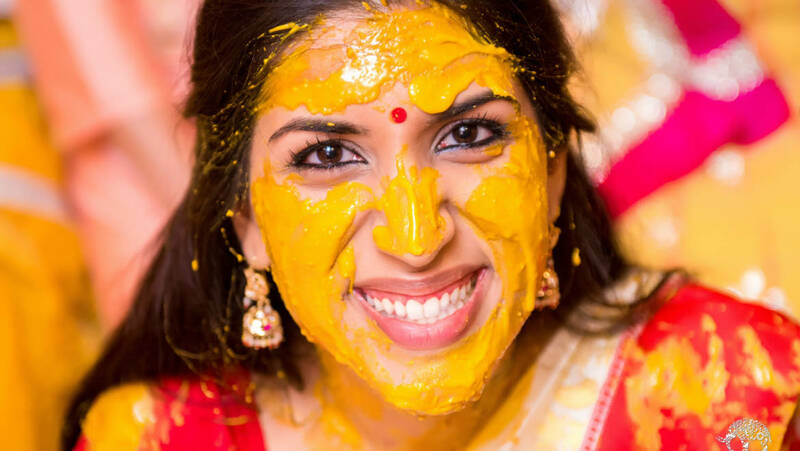 This Haldi energy is contagious! 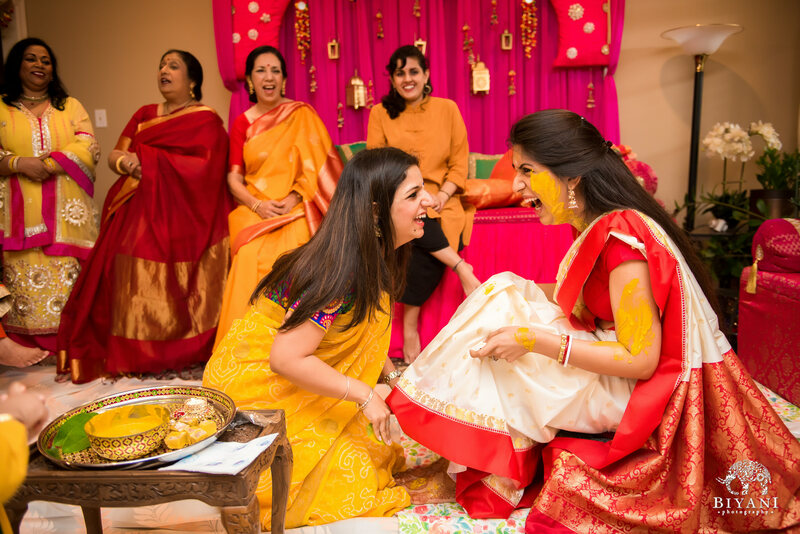 Haldi Attack – It’s all fun and jokes with these two! 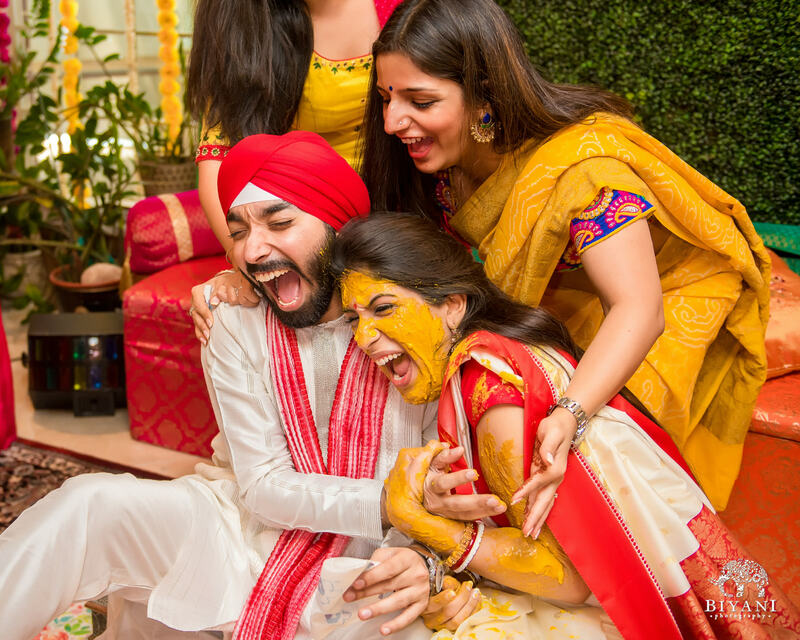 Smiles, smiles and more smiles! 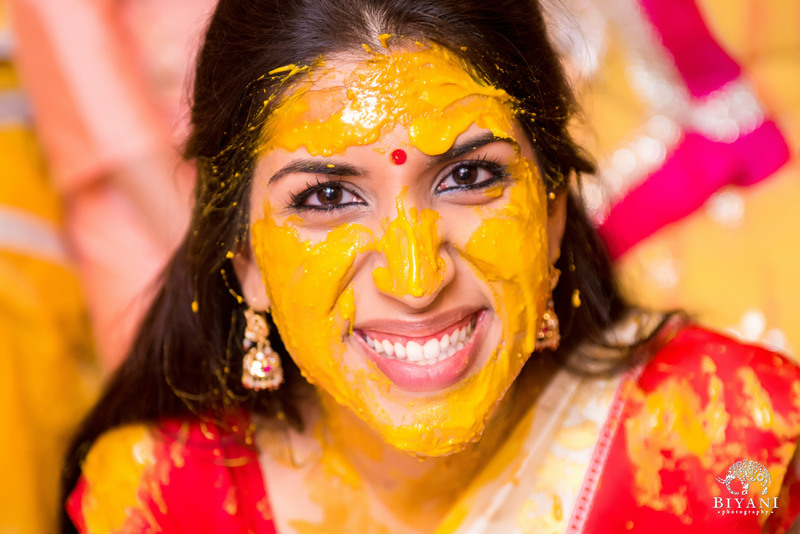 Haldi face! What a gorgeous bride?! 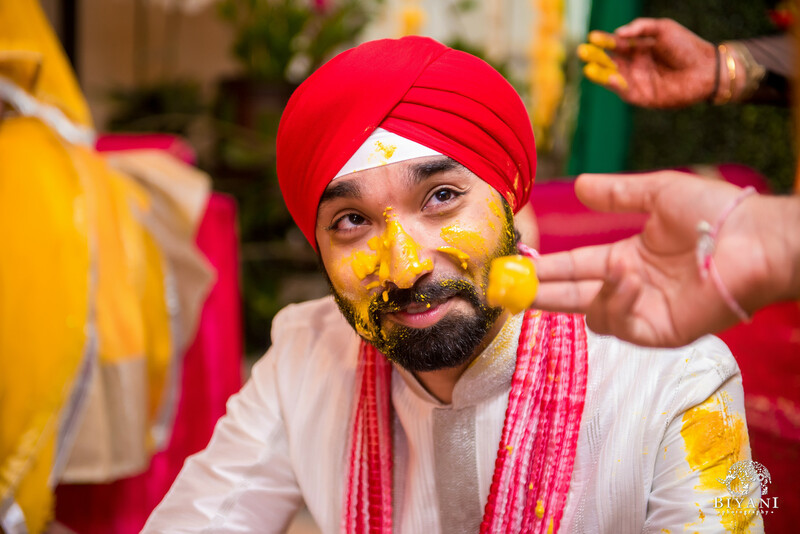 The groom gets a turn too! 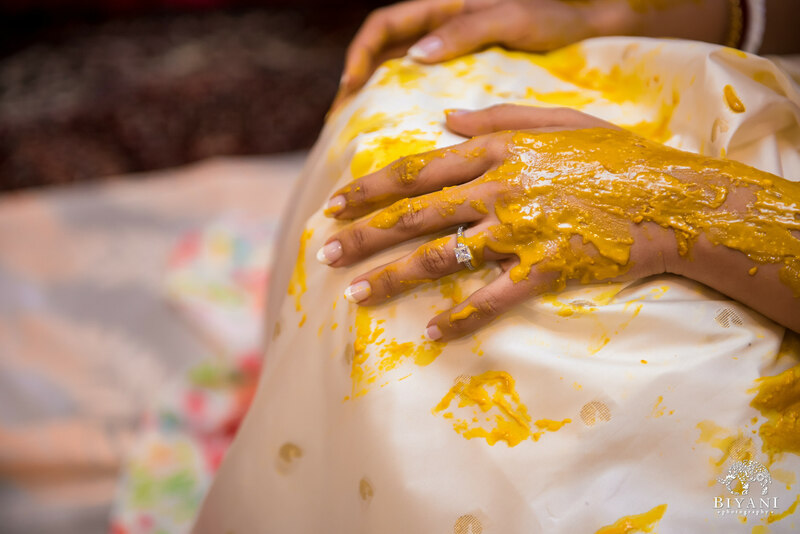 Brother-in-law’s Haldi Blessings or Haldi Attack?